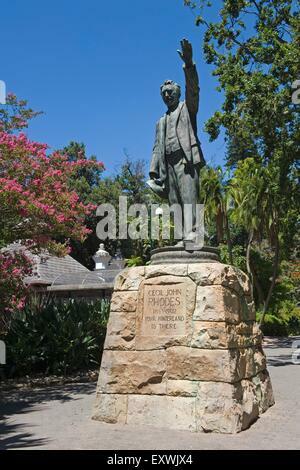 The Rt Hon Cecil John Rhodes DCL (5 July 1853 – 26 March 1902) was a British businessman, mining magnate, and politician in South Africa. 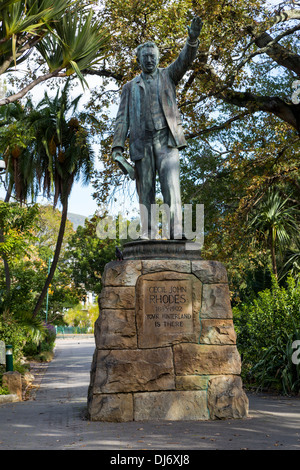 An ardent believer in British colonialism, Rhodes was the founder of the southern African territory of Rhodesia, which was named after him in 1895. 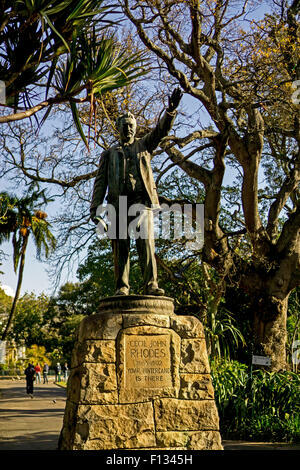 South Africa's Rhodes University is also named after Rhodes. 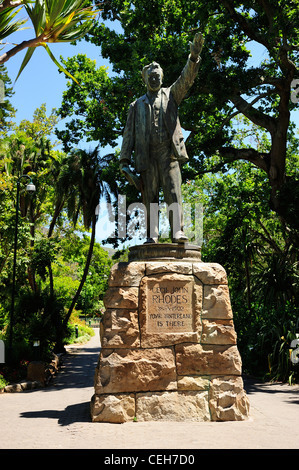 He set up the provisions of the Rhodes Scholarship, which is funded by his estate. 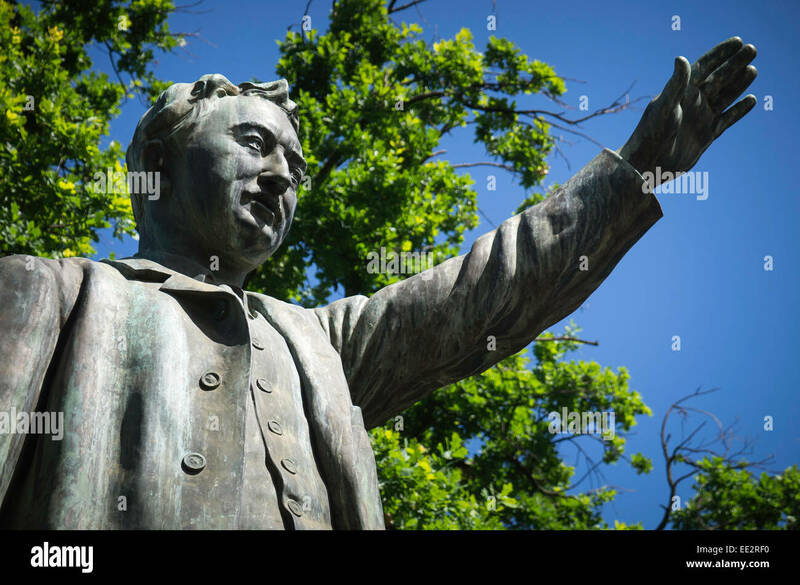 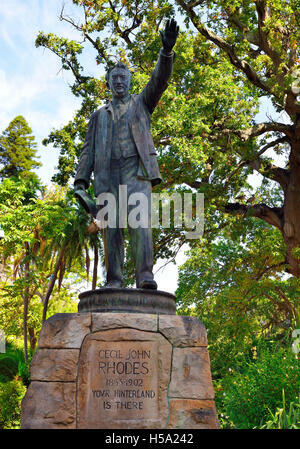 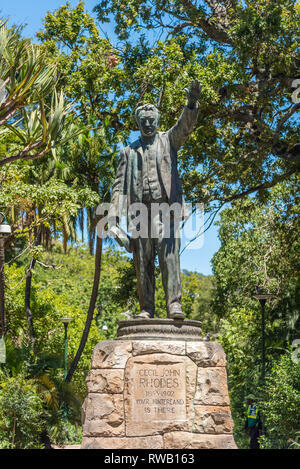 The statue of Cecil Rhodes was erected at Company's Garden in Cape Town in 1908. 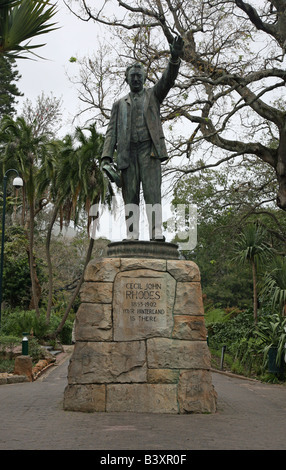 It features a full body replica of Rhodes wearing a three-piece suit, standing with his left hand raised and pointing north. 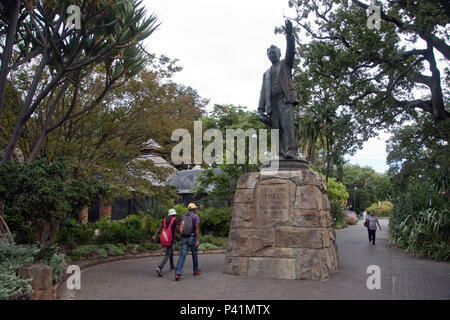 It has been compared to the Jan van Riebeek statue, which faces south and asserts a different sense of occupation. 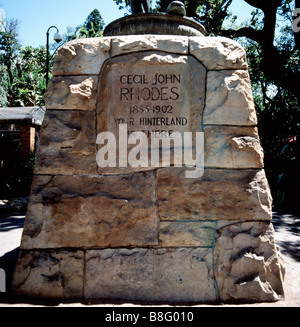 Despite its size, the present location of the monument in the Company's Garden makes it less significant in comparison to that of Jan Smuts at Adderley Street, Cape Town, a location that had been considered for the placement of the Rhodes statue. 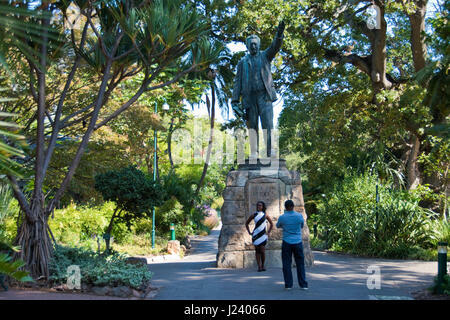 The statue designed by Herbert Baker, and unveiled in 1907, is at 33° 55′ 35.9″ S, 18° 25′ 2.64″ E The Company's Garden is a park and heritage site located in central Cape Town. 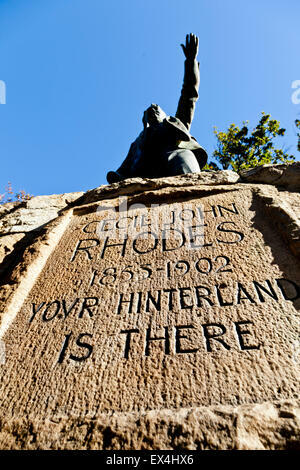 The garden was originally created in the 1650s by the region's first European settlers and provided fertile ground to grow fresh produce to replenish ships rounding the Cape. 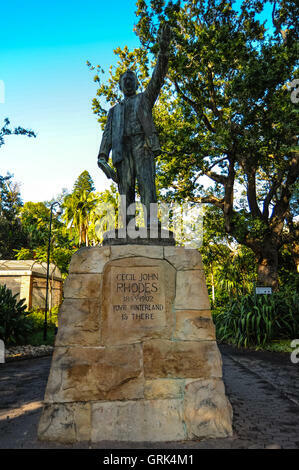 It is watered from the Molteno Dam, which uses water from the springs on the lower slopes of Table Mountain.